This project revolved around a central problem. 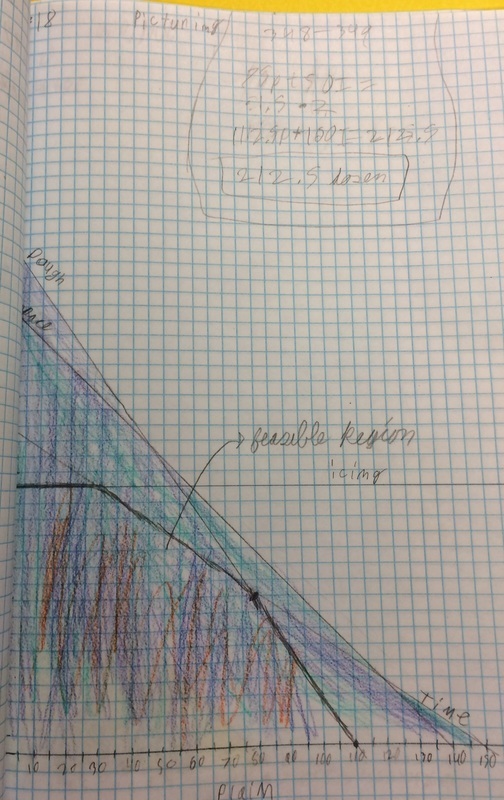 We were given constraints that we had to graph, then find a feasible region. After that we were taught how to make make a profit line. We then found the most money the Woo’s could make without going out of their constraints. In this portfolio you will find the work for the cookies project. I feel that this project has changed my perspective on math, in years past I have not liked math because it was lecture style. This project has given me a real life perspective on math. This is my cookies feasible region graph.